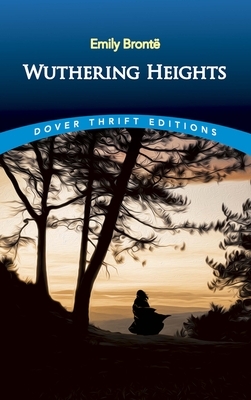 Considered lurid and shocking by mid-19th-century standards, Wuthering Heights was initially thought to be such a publishing risk that its author, Emily Bront , was asked to pay some of the publication costs. A somber tale of consuming passions and vengeance played out against the lonely moors of northern England, the book proved to be one of the most enduring classics of English literature. The turbulent and tempestuous love story of Cathy and Heathcliff spans two generations -- from the time Heathcliff, a strange, coarse young boy, is brought to live on the Earnshaws' windswept estate, through Cathy's marriage to Edgar Linton and Heathcliff's plans for revenge, to Cathy's death years later and the eventual union of the surviving Earnshaw and Linton heirs. A masterpiece of imaginative fiction, Wuthering Heights (the author's only novel) remains as poignant and compelling today as it was when first published in 1847.